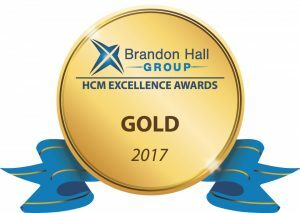 The company joins the list of top overall winners in the prestigious awards competition, bringing home awards in a wide variety of categories that include sales training, new hire onboarding, mobile learning, learning games, accessibility, video, and innovation. 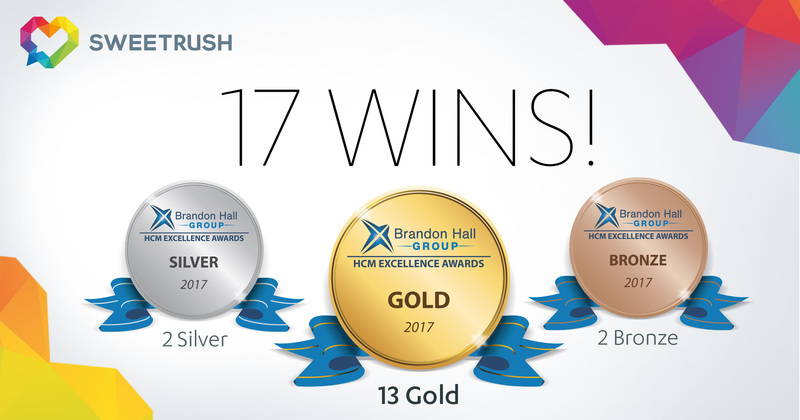 San Francisco, Calif., September 11, 2017 — SweetRush, a leader in performance improvement, custom learning content, and learner engagement, was recently awarded 17 coveted HCM Excellence Awards, including 13 Gold awards, from the Brandon Hall Group. The company, which placed among the top overall winners in 2017, shares these recognitions with its client-partners Bridgestone Americas, Cisco, Google, Hilton, and Pfizer. SweetRush brought home awards in a wide variety of categories, demonstrating the breadth and depth of its capabilities and innovation in developing custom learning solutions. The company won for its sales, new hire onboarding, and certification training programs, as well as for methods of delivery and engagement, including mobile learning, performance support, video, learning games, accessibility, and learning technology. SweetRush’s commitment to innovation is reflected in its three wins in the “unique and innovative” categories, and the award it shares with client-partner Google in the learning team category exemplifies SweetRush’s commitment to partnership. A panel composed of independent senior industry experts and Brandon Hall Group senior analysts and executive leadership evaluated the entries based on the following criteria: fit the need, design of the program, functionality, innovation, and overall measurable benefits. 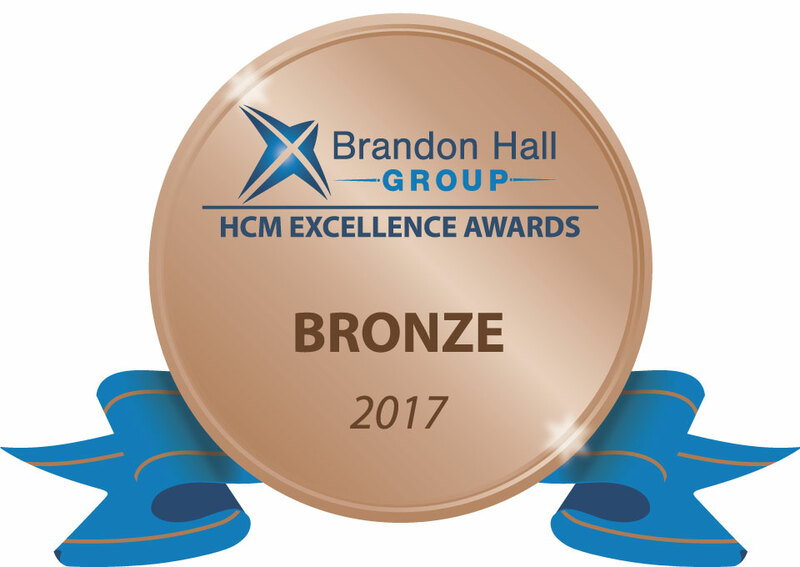 The full list of 2017 winners can be found on the Brandon Hall Group website. 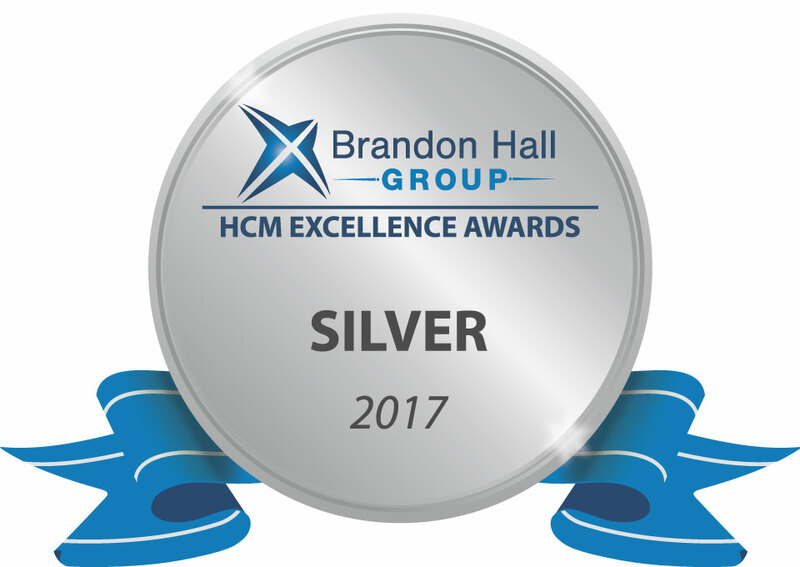 Brandon Hall Group is an HCM research and advisory services firm that provides insights into key performance areas, including learning and development, talent management, leadership development, talent acquisition, and workforce management. With more than 10,000 clients globally and 20 years of delivering world-class research and advisory services, Brandon Hall Group is focused on developing research that drives performance in emerging and large organizations and providing strategic insights for executives and practitioners responsible for growth and business results (www.brandonhall.com).